“You know we’ve become so distant from where our food comes from," says Roxanne Adair, operator of Flint River Farms. Last week, she was cited for a zoning violation and given 30 days to remove the chickens. Adair says she’s surprised, with all of Flint’s other problems, that the city is devoting resources to forcing her to move her chickens. "You know we’ve become so distant from where our food comes from. “That’s just abnormal … that’s not what happens here,” Adair says with an ironic tone in her voice. A Flint city spokesman says one of Adair’s neighbors contacted the city two weeks ago to complain about her chickens. “Along with being against city ordinance, harboring chickens in unsanitary conditions is a health issue as well as a quality-of-life issue,” says Jason Lorenz, Flint city spokesman. “Along with being against city ordinance, harboring chickens in unsanitary conditions is a health issue as well as a quality of life issue,” says Jason Lorenz, Flint city spokesman. Since 1968, it’s been against the law in Flint to keep chickens in a residential neighborhood. 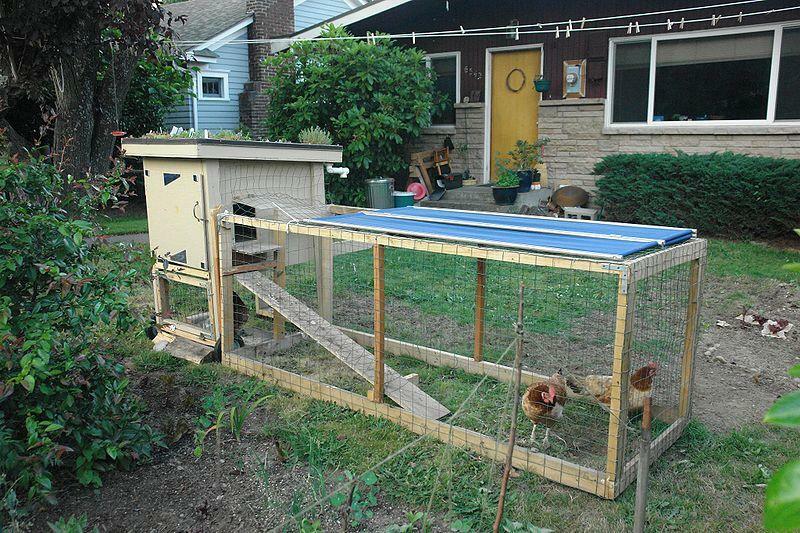 In recent years, dozens of Michigan cities have updated local ordinances to allow people to raise chickens in backyard coops. But that aspect of the "urban farming" movement is facing a new challenge. This spring, state officials approved new guidelines calling for tighter restrictions on chickens and other livestock in urban environments. Meanwhile, Roxanne Adair hopes to persuade Flint city leaders to let her keep her chickens. Adair says she’s far from the only Flint resident enjoying very fresh eggs every morning. “I’m not going to name any names but I could probably count at least 200 illegal chickens that I know of in the city limits,” says Adair. Backyard farmers to lose Right to Farm protection? 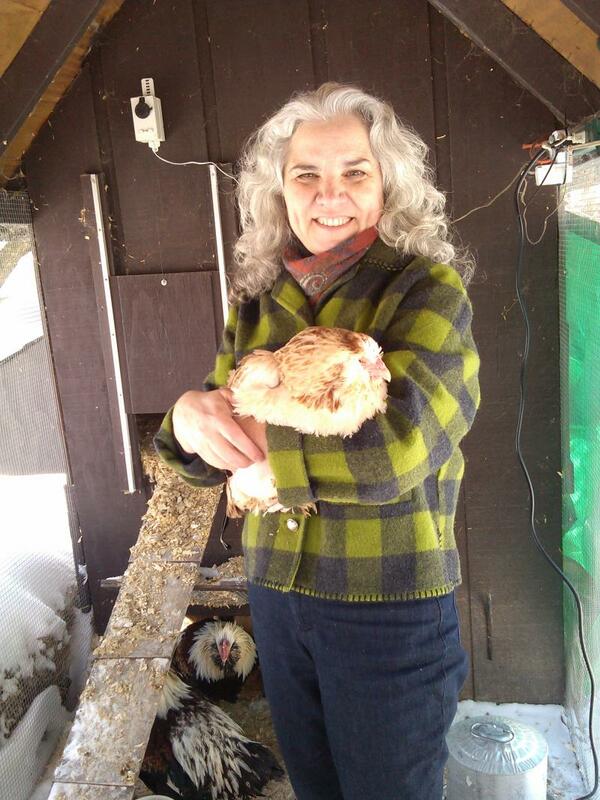 Take a listen to Wendy Banka and her chickens, and MPRN's Jake Neher describing why some state officials say backyard farms should not be covered by the Right to Farm Act. Life could soon get a little harder for backyard farmers. A law passed in 1981 protects Michigan farmers from nuisance lawsuits. It’s called the Right to Farm Act. It was created to protect farmers from angry neighbors who were moving out into rural areas from cities. At the moment, the law also protects people who raise chickens and other animals in their backyards. Wendy Banka lives in Ann Arbor. She has seven chickens with orange feathers living in a coop in her backyard.